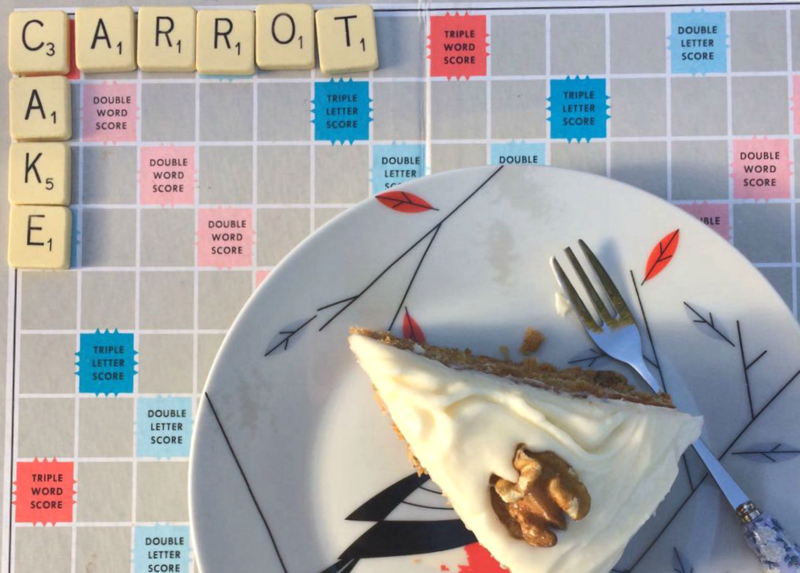 We managed to do six cooking challenges in 2017, and our fifth was carrot cake. It's great that we've had more participants this past year and we had three entries again for this one; me, my mum and Audrey (photos above in the same order). Unfortunately I don't have that many photos of this challenge, which is often the way in the autumn and winter, when it's dark outside. Audrey made her cake first, and actually made two different versions, both as birthday cakes for Ben's dad, John. One had cooked and pureed carrots mixed with walnuts and coconuts and the other had raw grated carrots with sultanas and orange zest. She took them along to their Ramblers meeting and said she got some favourable comments! Her only slight disappointment was that the cream cheese frosting went a bit runny out of the fridge. My mum went next, and used a Mary Berry recipe. She said it was nice and moist, which she thought was probably because the recipe used oil rather than butter in the mixture. She also went for a cream cheese icing, topped with walnuts, which she said was really delicious. 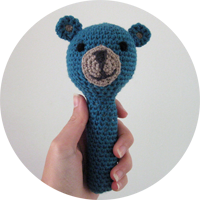 Also, look at this artistic photo she sent through for me to use... bonus points deserved maybe? I was a bit slow off the mark this time and actually had to have two attempts at my cake. I used the same recipe both times, from this 'Easy Vegan' book my mum shared with me. On my first attempt I think I took it out of the oven a bit too soon, so it was beyond moist and more like a soft sponge pudding than a cake (better with a spoon than fingers). Ben actually really liked my first attempt, but I don't think it was quite cakey enough, so I didn't bother icing it and decided to try again. My second attempt had a much better consistency and was more cake-like, although still nice and moist. 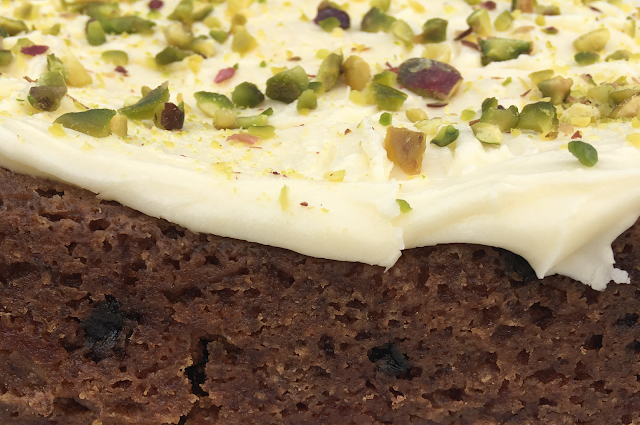 I decorated it with a lemony non-dairy butter frosting and chopped pistachios, which was delicious but very sweet. I'm actually not normally a big fan of carrot cake or the cream cheese frosting and it wouldn't be my cake of choice but I did enjoy this one, although perhaps one slice was enough for me. Audrey's carrot cake was scored 8/10 by John - a very good score! Ben tried to give my first failed attempt a 10, but I overruled him, and he gave my second attempt a solid 9/10. My mum was the star baker this time and was awarded an excellent 10/10 by my brother, who called out the icing as the best bit. What a successful challenge! I feel like we've had a pretty good run of them this year. 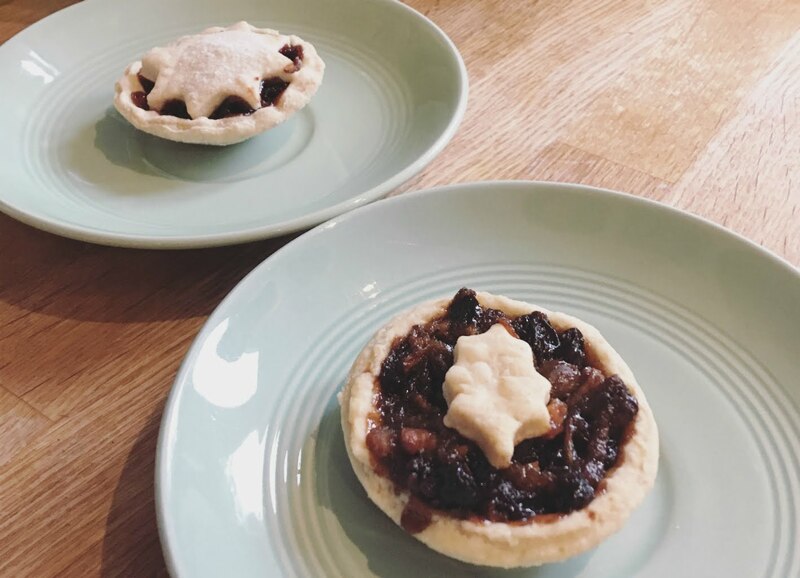 Our final challenge of 2017 was festive themed and we decided to do mince pies this year, with a combined judging held on Christmas Day. 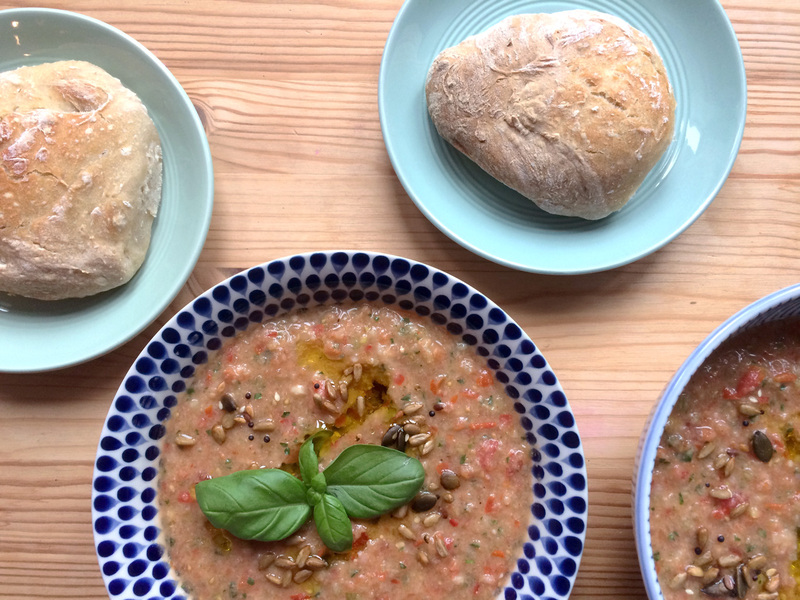 Our summer cooking challenge was gazpacho and bread rolls. My attempt is shown on the left and my mum's is on the right. Audrey also joined in with this challenge, but unfortunately I don't have a photo to share. I think the trickiest part of this challenge was the bread as the gazpacho is pretty quick to make (as it doesn't involve any cooking of course!). For my rolls I followed this recipe from The Comfort Kitchen for no-knead crusty rolls. 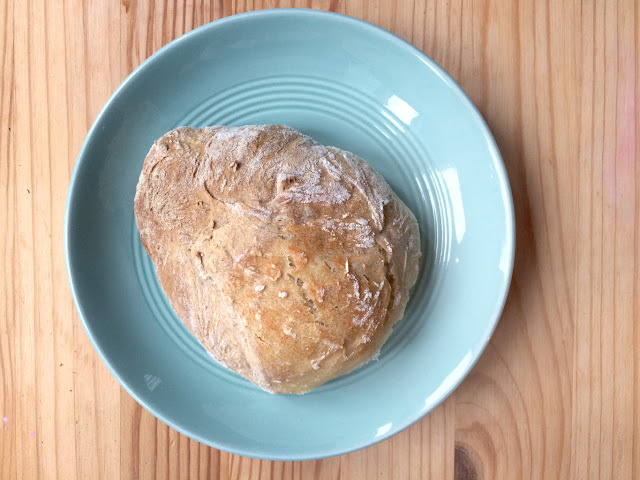 I liked the sound of no-knead, and these rolls were easy to make, bearing in mind that you need a few hours in between mixing and baking for the mixture to prove. I made the mixture one day and left it overnight to prove. 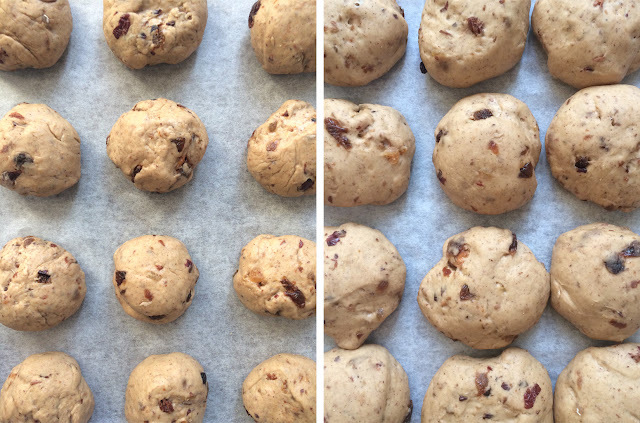 When I came to bake them I did find the mixture a bit sticky and think I might have knocked a lot of the air out of the dough when transferring them to the baking tray as they didn't rise as much as I'd hoped. The flavour was delicious though and fresh from the oven they were nice and crusty. I think I'll try making these rolls again one day as they are so easy that the mixture can be cobbled together one night, and then baked the next evening after work. Hopefully they'll rise a bit better next time too. For my gazpacho I followed a recipe from an allotment gardening cookbook we have. As expected it was super quick to make. 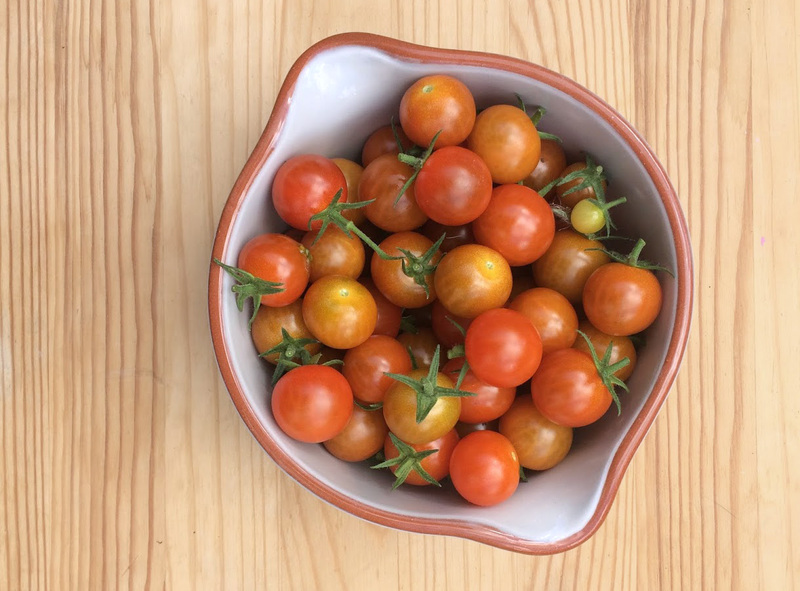 We picked the perfect time of year for this challenge as it was just around the time that our allotment greenhouse tomatoes were fruiting and I was able to harvest enough homegrown tomatoes for the recipe. What a treat! 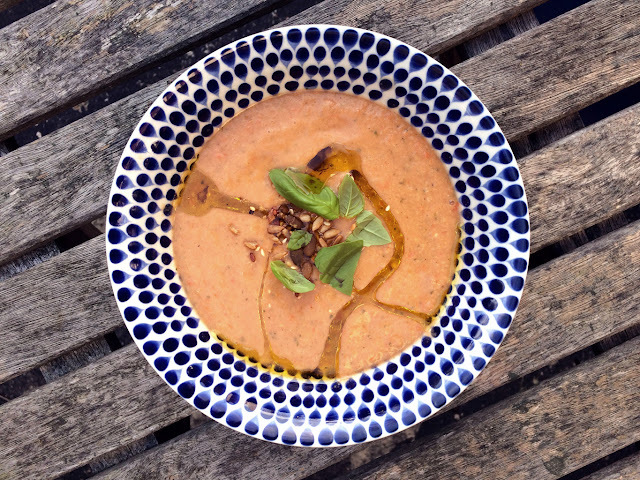 As I made quite a big batch of the gazpacho I tried out a couple of different consistencies when serving. For the first portion I used our food processor to blend the mixture so it was a slightly chunky consistency. Ben really liked this texture, but I wasn't convinced (particularly by the appearance). When we had the gazpacho the next day I used the blender to make a smoother consistency and I think this looked a bit more like traditional gazpacho. It tasted good too! My mum unfortunately didn't enjoy her gazpacho and thinks it's an acquired taste. She said she's never had 'cold soup' before. Audrey also made her gazpacho with homegrown tomatoes (bonus points?) and John made a loaf of rustic Spanish bread to accompany it. 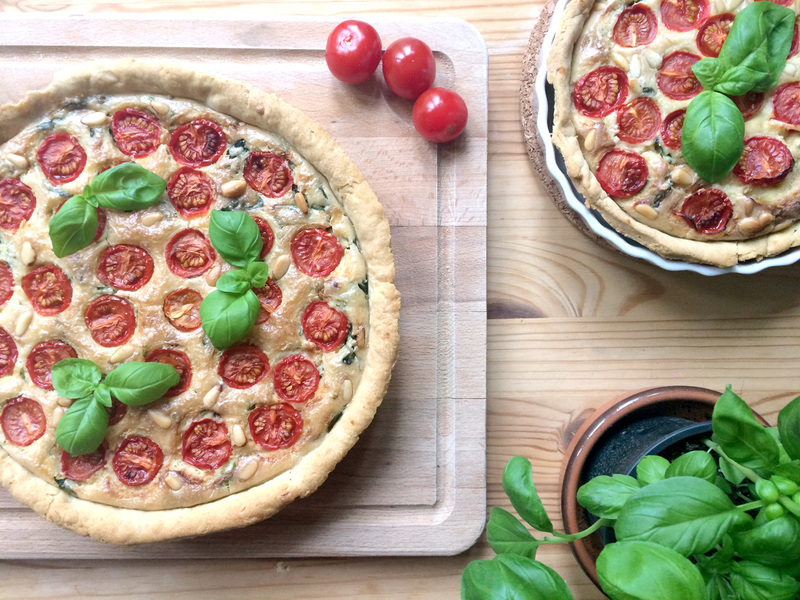 They were really successful with both, and have since made it again for a dinner party. It's great that these cooking challenges can lead us to discover new things that we want to make over and over again! My mum might not agree on the gazpacho front, mind. Ben was very happy with the gazpacho and the rolls and tried to give me 9/10 for this challenge, but I don't agree as the consistency of my bread rolls wasn't right. They tasted delicious, but were a bit flat, so I docked myself a mark and am going to settle with 8/10. The review from my dad on my mum's gazpacho was that is was as good as he's had when eating out before, and the flavour and texture deserved 9+. Great score! However, although the rolls looked good, both him and my brother said that they were a bit too tough to eat, and were probably around a 6/10, so overall they gave my mum 7.5/10. Audrey and John both enjoyed their gazpacho and bread and collectively gave themselves a 10/10 - a very successful result! We all did pretty well this time round. My mum has demanded we make something sweet next time as we've done a couple of savoury things in a row now, so we're going for carrot cake. I've never made a carrot cake before and am on the hunt for a good vegan recipe. 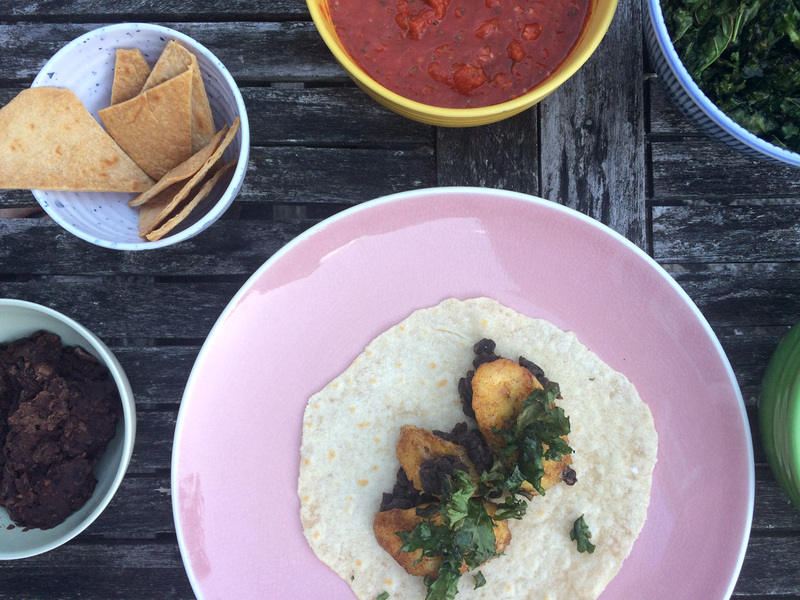 Here's our most recent cooking challenge - a Mexican feast. It was back to the original cook-off team, with just me and my mum taking part in this one. We set ourselves the rule that whatever we chose to make had to include homemade tortillas and at least two side dishes. Here are the resulting platters - my mum's is on the left, and mine is on the right. 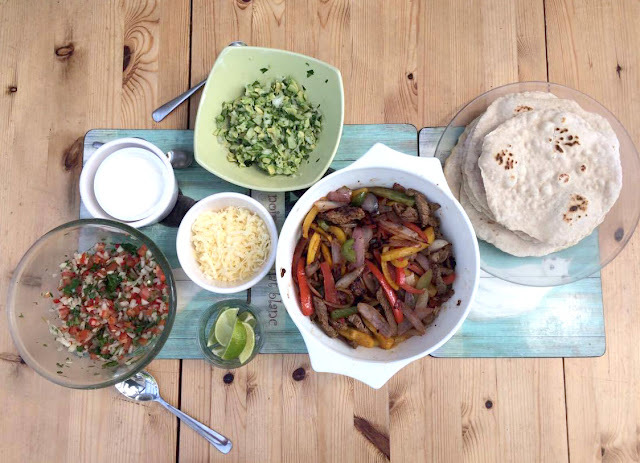 My mum made lamb and vegetable fajitas, with guacamole and salsa cruda on the side. And I made black bean & plantain tacos and barbacoa mushroom tacos, accompanied by refried beans, tomato salsa, guacamole and tortilla chips. I loved this challenge as Mexican food is a big favourite of mine, and I enjoyed browsing Pinterest for vegan recipes (some of which can be found here). As a side note: I haven't had much luck with Mexican food since eating a vegan diet and have twice been accidentally presented with cheesy dishes whilst eating out. Now I'm a bit scared of ordering things because of the moral dilemma! 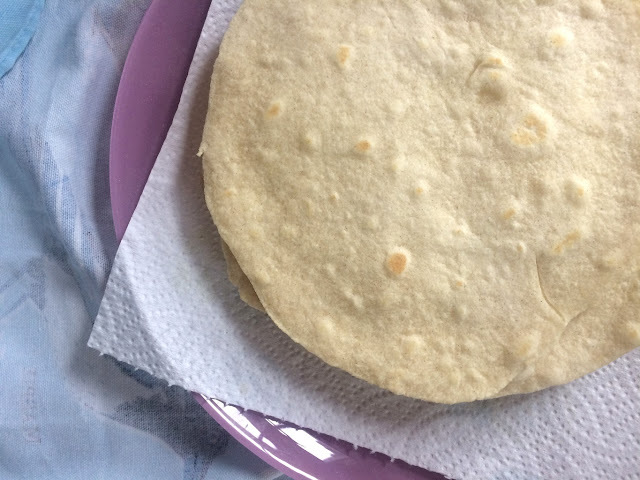 I found this recipe for the best ever homemade flour tortillas, and they certainly lived up to their name. They have very few ingredients and are really easy and satisfying to make. They also taste so much better than shop bought tortillas, so I would definitely recommend them! I admit, not all my tortillas were as perfectly round as the one above. There were a few wonky ones in the batch too, but I cut up some of those and baked in the oven with a little oil to make tortilla chips for dipping. I found this recipe for a classic tomato salsa which was quick and easy to make. It also makes loads so we had some leftover to enjoy with some nachos later in the week. The refried beans were equally simple and only took a few minutes. Here's the recipe if you want to give them a try. 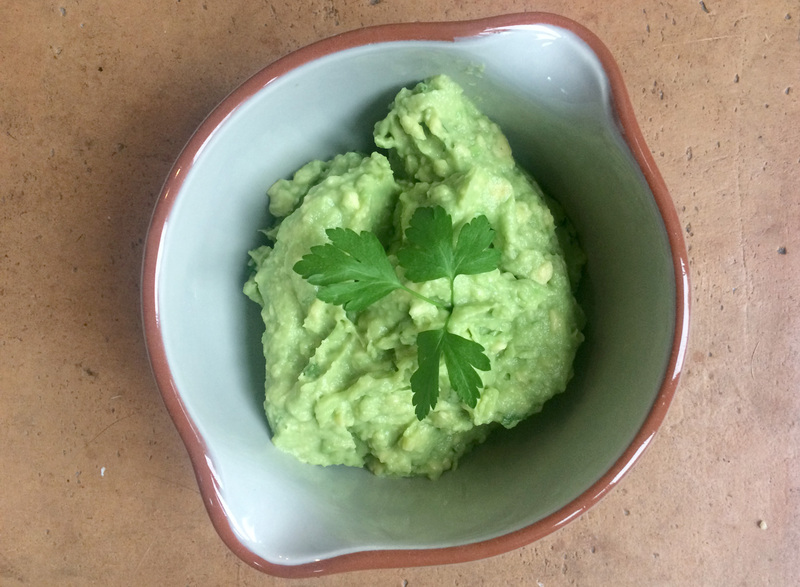 The guacamole recipe I found was billed as the 'worlds best' and, like the tortillas, it also lived up to it's name. I omitted the coriander (because it's horrible) in favour of parsley, and in my opinion that will only have improved the recipe. For the taco fillings themselves I decided to try two different recipes out - after all, it's nice to have a couple of dishes if you're going to have a feast. 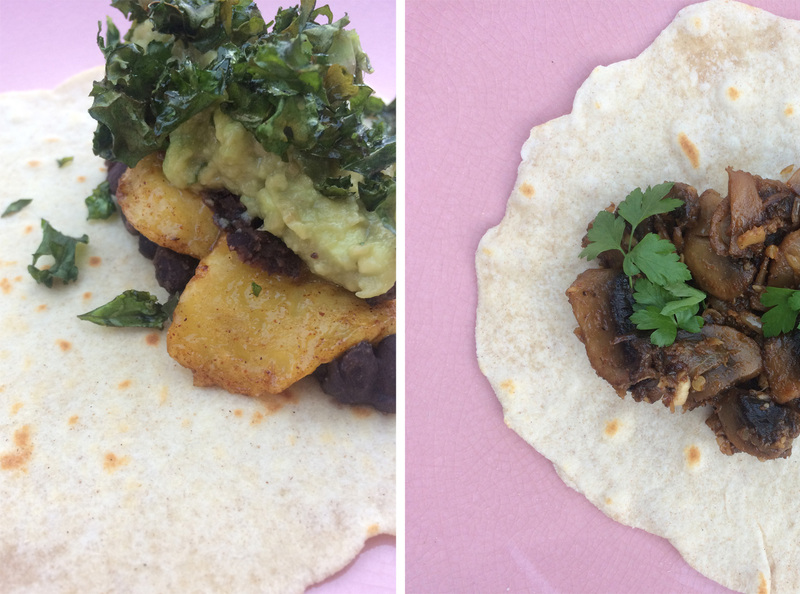 The first (pictured left) were these plantain black bean tacos - they had a lovely spicy sweetness to them and I really loved the texture of the plantain. I topped them with plenty of guacamole and some crispy kale too. The second were these barbacoa mushroom tacos which had a lovely smoky taste. I think the hardest thing about this challenge was co-ordinating all the different elements and ensuring everything was ready and warm at the same time. We had a couple of rounds of the plantain tacos as these were definitely best straight from the pan. She said that everything went pretty well, but she found the tortillas a bit of a hassle and doesn't think she'd make them again. The opposite of my thoughts! I'm lucky Ben likes Mexican food as much as me as he gave me a very generous 10/10 for this challenge. I think he's hoping his score will encourage me to cook it all again! My mum also did brilliantly and scored 9.5/10 for her spread. My brother was chief judge and said that although the tortillas weren't quite perfect, the guacamole was particularly great! Luckily my mum didn't have my dad as the sole judge this time as he was trying to deduct marks for the presence of guacamole, and what he calls 'off cream'. Fussy eater. He still gave it a 9 though, so not too harsh. Excellent results across the board! Keeping up the momentum, next time we've decided to make gazpacho accompanied by bread rolls. Perfect for the summer! I'll see if we can get any other cooks to join in again, but otherwise it'll be another head to head with me and my mum. Wish us luck! You'll have to forgive me for being so behind with documenting our cooking challenges. We've actually completed two more this year since the quiche, so expect another post to follow shortly. Don't they all look great? 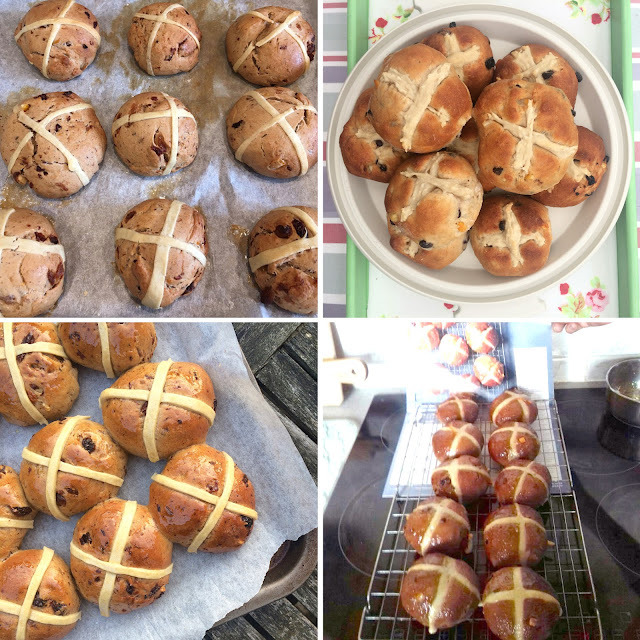 All recognisably hot cross buns - good batch baking! Ben and I actually used the same recipe from Vegan Life magazine for our buns. It was really easy to follow. Unfortunately Ben had a bit of an issue as his buns didn't really rise and ended up quite small and dense - he thinks he might have heated the milk through too much and killed the yeast. 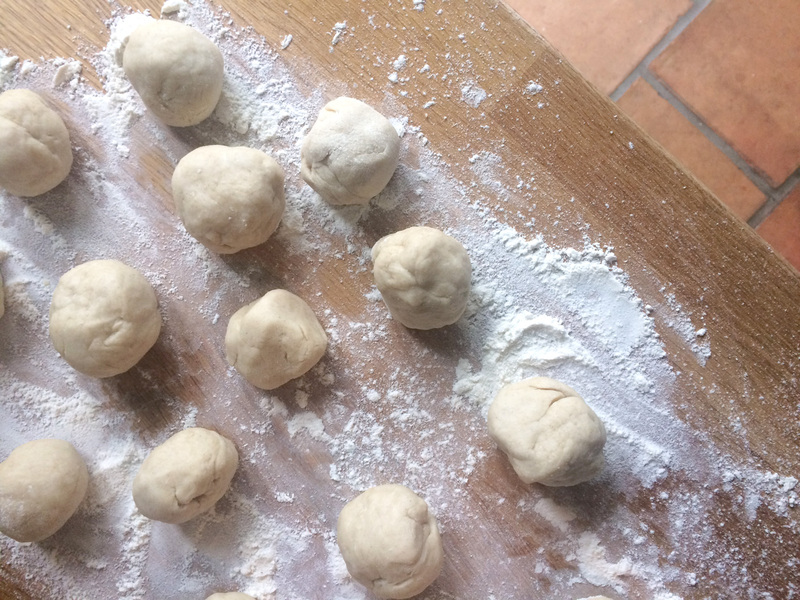 I had a little more luck though as my buns doubled in size whilst proving. I really liked making the crosses. 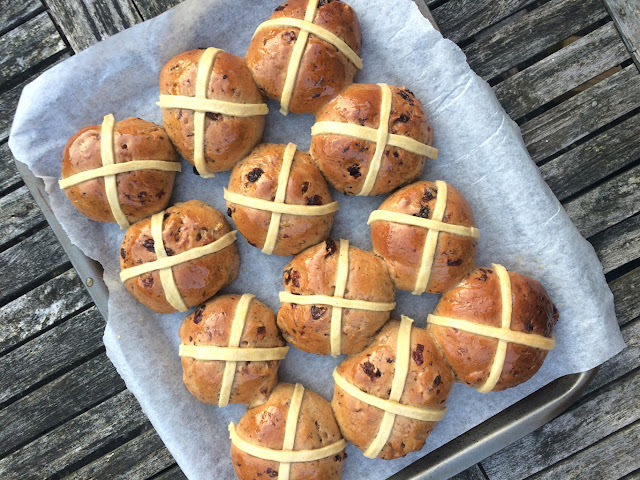 Having never made hot cross buns before I assumed that the crosses were always piped onto the buns (like shop bought ones) but our recipe called for thin pastry crosses instead. I like how thin Ben made his! They look really cute. My mum and Audrey both went for the piped method instead. My mum found it a bit messy I think - she reckons she made the dough too thick, so it was hard to pipe. In the end I was really happy with my buns, they came out of the oven looking lovely and brown and the flavour of the recipe was spot on. 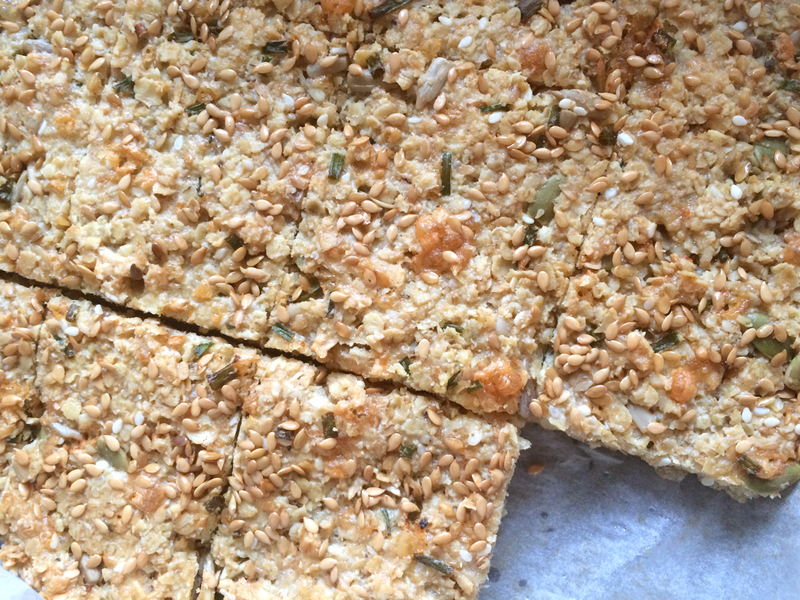 I would definitely make them again instead of buying them - a lovely toasted snack for the spring months. Ben made his buns first and although the flavour was delicious, the fact that they didn't rise meant that they had a very doughy and dense texture. I tried to give him a 5 but he argued me down to 4/10. As my buns followed the same recipe, but I had the advantage of not killing my yeast, I got a very high score of 9.5/10 from Ben. The half mark was docked because some the crosses were a bit hard and some bits fell off when cutting. I think piped crosses might be a less fragile approach. 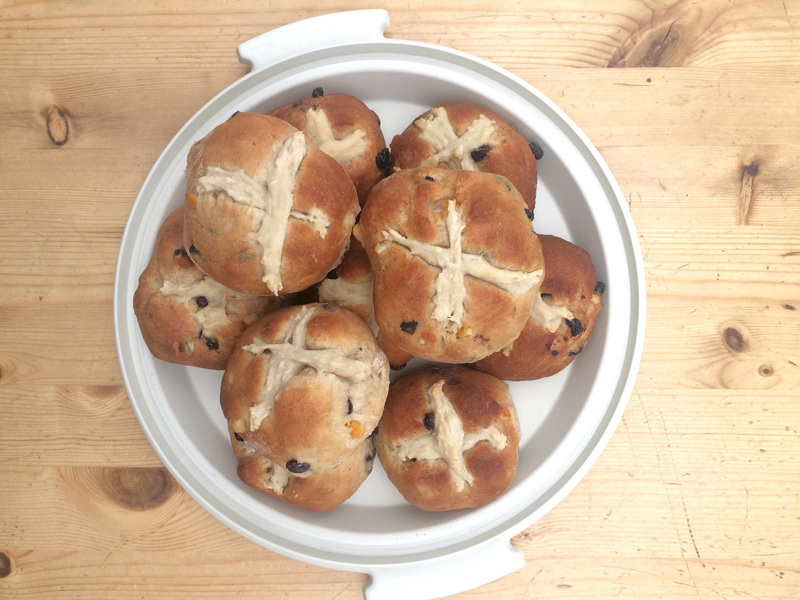 Audrey's hot cross buns looked brilliant (just like the photo in the recipe!) and the chocolate/orange combo sounded like a winner, but unfortunately they didn't pass the taste test, scoring a 4/10 on taste and texture. She's instead going to opt for a traditional recipe next year as the chocolate and orange was a disappointment. My mum was awarded a 9/10. The taste and texture of hers were highly praised, but I think one mark may have been knocked off because of the slightly hard and messy crosses. I'm tempted to give her back a mark for her improved food photography though. So, overall a mixed result this time, but it was nice to do another seasonal challenge. Next up, we're making a Mexican feast, which must include some homemade tortillas and a minimum of two side dishes (salsa, guacamole, etc). We've already finished this challenge so I'll share the results soon! 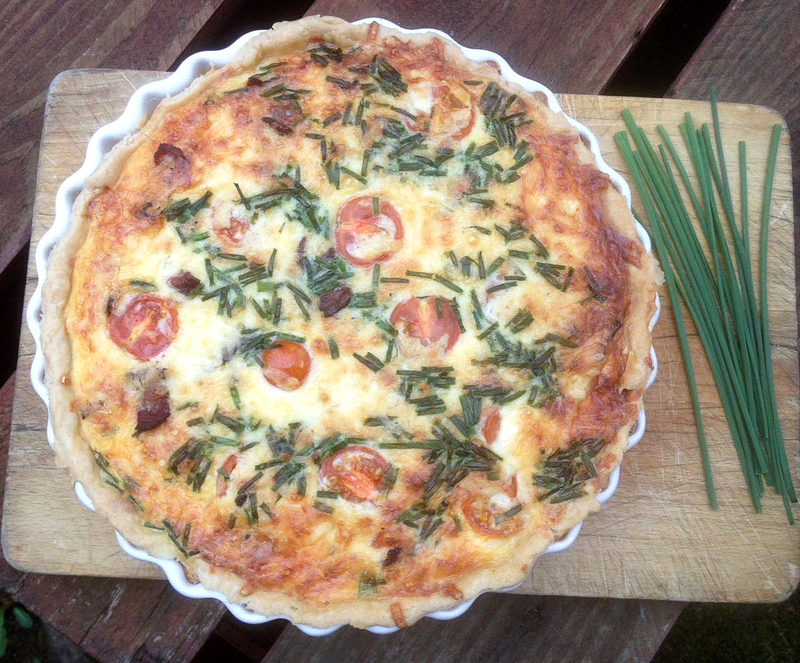 The cooking challenge is off to a good start this year, with a record number of entries to our quiche cook-off. Thanks to the enthusiasm drummed-up in the Chrismas stollen challenge. 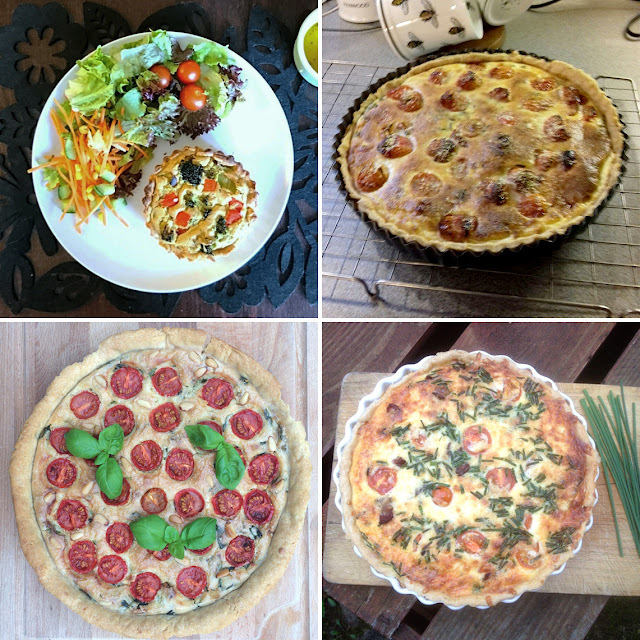 Clockwise from top left: Derek's red pepper, leek & broccoli vegan quiche // Audrey's roasted tomato & parmesan quiche // My mum's cheddar, bacon, tomato & chive quiche // My roasted tomato, spinach & pine nut vegan quiche. They all look pretty good - no baking disasters this time! 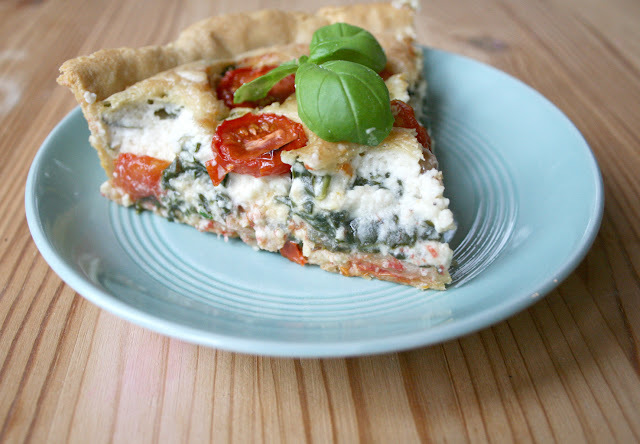 It's impressive to have two vegan entries too - especially as quiche is so traditionally egg-based. Derek made his filling using tofu and tahini, whereas I found a recipe which called for a filling mixture of soy cream, chickpea flour and ground cashews. Here's the recipe I followed. 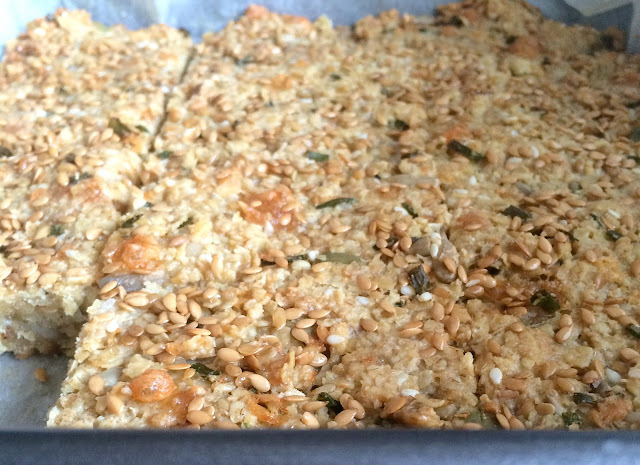 I added basil and pine nuts to the ingredients too as they're my favourites. The pastry was really easy to make, and simply substituted butter for olive spread to make it vegan. I decided to blind bake it first to make sure it was extra crispy and didn't go soggy once the filling was added. The recipe actually made enough pastry and mixture to fill my quiche tin, with some left over for an extra mini quiche. Lucky us. I was super pleased with how they both came out. The pastry was crisp, and the filling was firm. I really like the way the roasted tomatoes look too - it's quite a pretty quiche. And luckily I made enough so that Ben and I could enjoy it cold for lunches throughout the week too. Derek's was the first entry to come in. He had to self-judge his one, and he gave it a 7/10, docking himself points for adding too much filling (he said he was greedy). I made mine next - it was a bit of a challenge as Ben normally doesn't like quiche that much due to the egg giving him tummy ache (hence the vegan approach). It paid off though as he said it was one of the best quiches he has ever had, and he didn't get a tummy ache either. He scored me 10/10 - success! 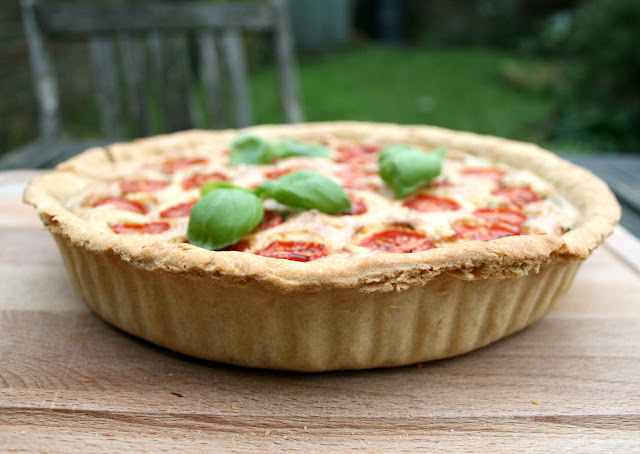 Audrey (Ben's mum) made hers next, and scored a very respectable 8/10 for her quiche. John (Ben's dad) later said that he would have given her an extra point if there had been bacon included too, which sounds very similar to my dad's approach to judging. My mum made hers last, with my dad as the judge (luckily there was bacon!). He said he couldn't fault it and gave it full marks with 10/10. Well done mother! This felt like quite a competitive one as there were so many of us taking part, so it's great that we all did so well. 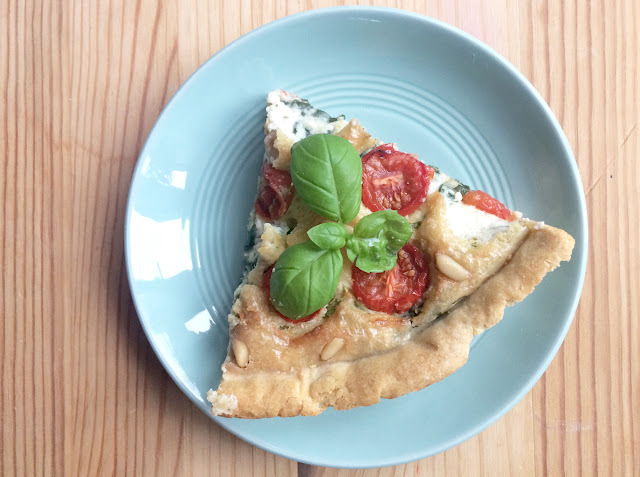 I really enjoyed the quiche I made (especially when it was cold) and it was great for lunches at work, so I definitely think I'll make it again sometime soon. Good picnic food too! Our next challenge is hot cross buns, and is scheduled to be completed by Easter. We decided to schedule in a festive cooking challenge this Christmas, partly because my mum was stalling with her sushi, and partly because it would be an opportunity for a side by side taste test as we would all be together in the same place. 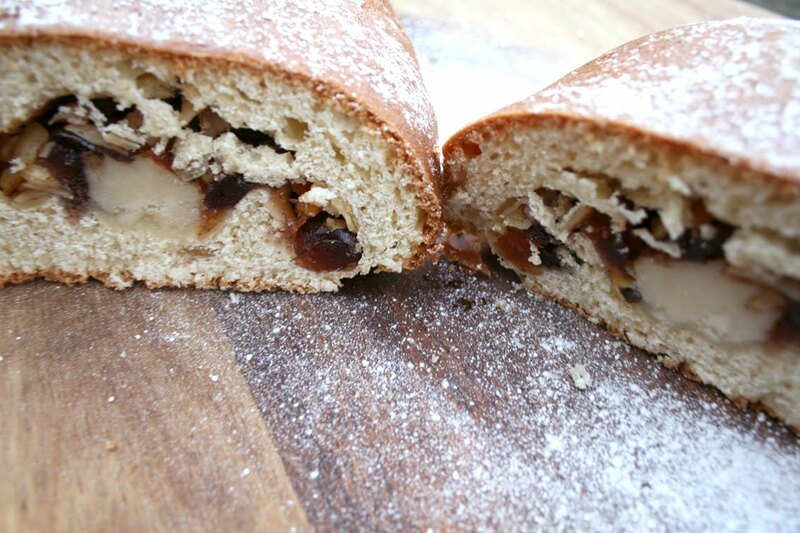 The one shown on the left above was my stollen, and my mum's is on the right. 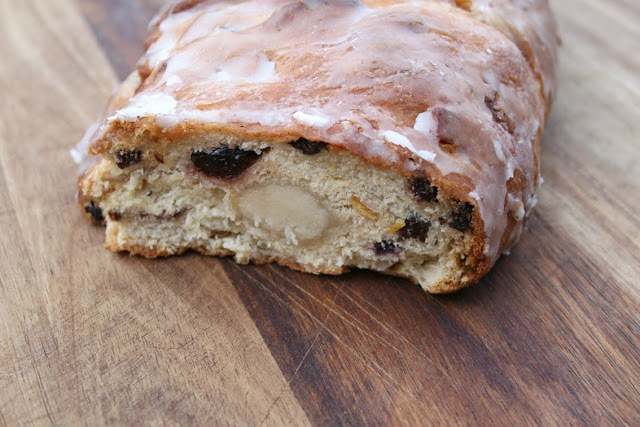 My mum's definitely looks the most stollen-like. The recipe I chose was this one, which was described as 'Nigel Slater's version of the perfect Christmas stollen'. I'm not sure where I went wrong, but I would say mine turned out far from perfect. We hosted Christmas at our house this year, so Ben and I took to the kitchen on Christmas eve for a bit of a cooking session. 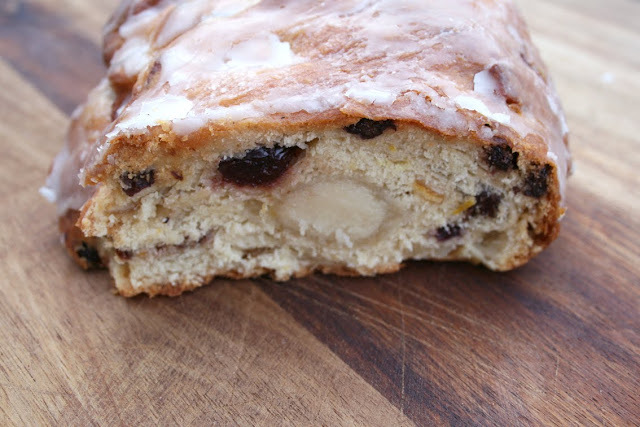 A good day to bake a traditional German fruit bread too! 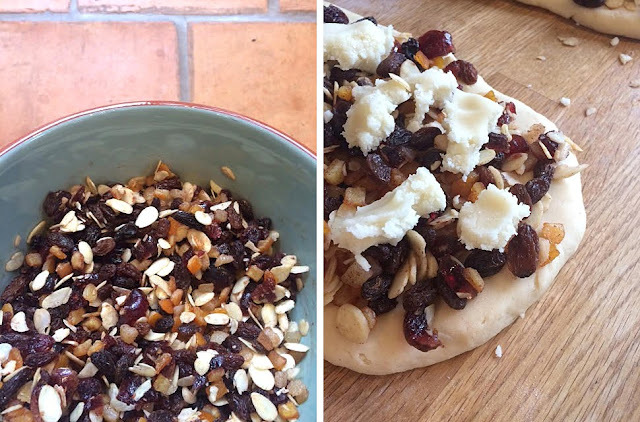 The ingredients list for the filling of Nigel Slater's stollen was definitely a winner: cardamoms, cherries, mixed peel, sultanas, ground cinnamon, flaked almonds and marzipan. It smelt delicious when it was all mixed together in a bowl. Well, apart from the cardamoms, as I accidentally left them in the pestle and mortar and we only discovered them on boxing day - oops! I must have got distracted by the gravy/nut loaf/mushroom stuffing. However, I think it was the construction where things started to go wrong for me. 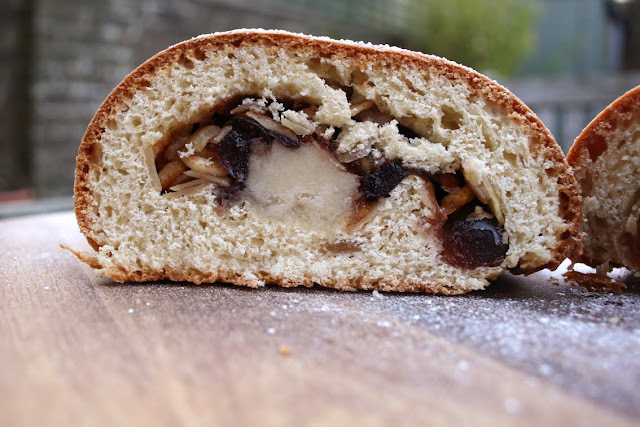 The filling was rolled up in the centre of the dough, rather than being mixed in, which meant it ended up as sort of filled tube of plain bread, rather than a lovely moist fruit loaf. My mum seemed to get on better with her recipe. She followed a Delia Smith one she found in a newspaper (it might be this one). Hers had a long stick of marzipan running through the centre of the mixed-fruit dough, possibly more in line with the traditional Stollen. We did the taste testing after a boxing day stroll and were lucky enough to have five judges presiding over this one. I think both of ours fell down for being a bit dense and not as moist as they should be. Although they were both a few days old when we did the testing - especially my mum's, who made hers a couple of days before Christmas. I would be the first to admit mine wasn't a winning bake and was very pleased to receive a collective mark of 6/10 for my loaf. I think it might have been a bit generous actually. 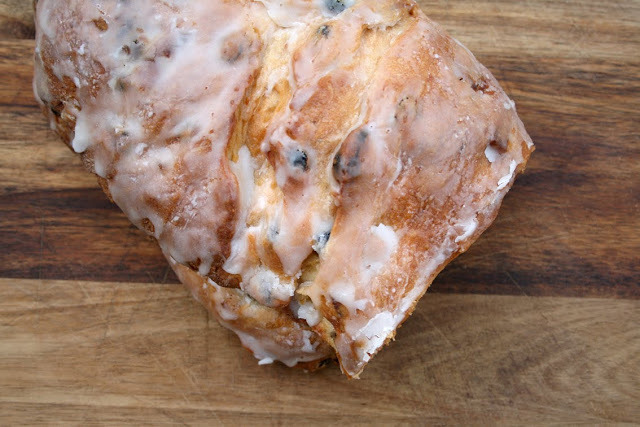 My mum did much better and got a score of 8/10 for her stollen - success! It definitely did look the nicest. 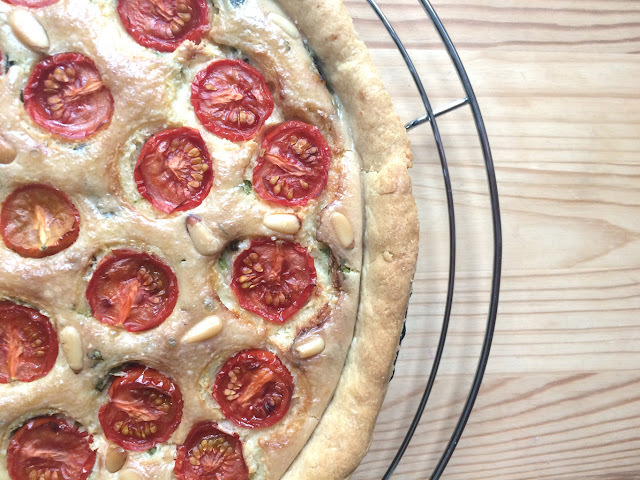 For the next challenge, we've decided on making a quiche. And we had a couple of new sign-ups to the challenge on boxing day so this one might be more of a group bake-off. Things are going to get competitive! It's been a while since I posted about one of our cooking challenges. It's not because the swiss rolls put us off, although you could understand if they had. In fact I made my sushi way back in July, straight after the disastrous swiss roll, but my mum has been waiting until my brother visited until she made hers. Unsurprisingly, my dad was decided to be a bad choice of judge for this challenge; he doesn't like salmon and he doesn't like sushi. Mine is on the left and my mum's is on the right. 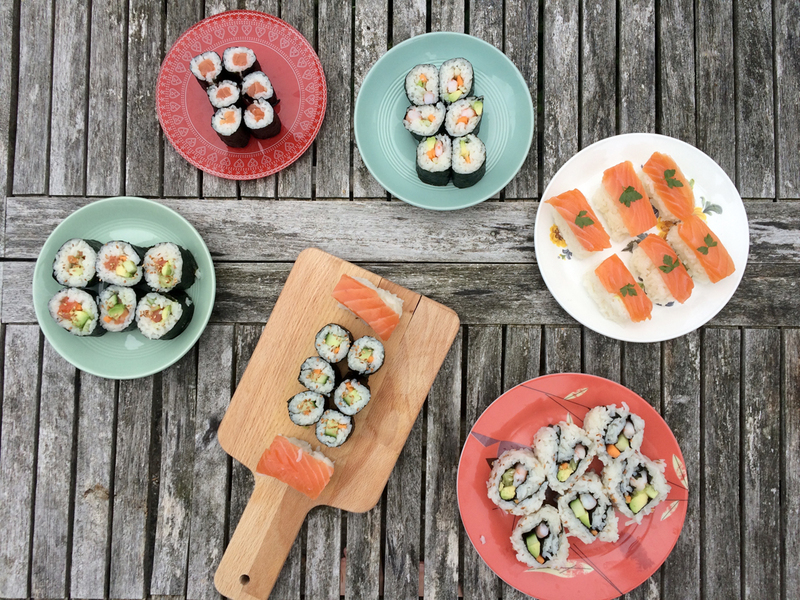 My mum made smoked salmon, avocado and chive maki rolls. I really enjoyed the whole process and love how colourful it all looks as a platter. I heard from a lot of people that the rice is the key to making great tasting sushi, so I asked my friend Tiago (expert sushi maker) what recipe he follows and he recommended this video, which worked a treat! Cooking the rice was the longest part of the process, but once it is ready and cooled I was really impressed with how quickly it all came together. And the rolling was much easier than I thought it was going to be; even the California rolls didn't fall apart (thanks to the stickiness of the rice). My brother gave my mum a score of 5/10 - he said rice was the main issue. My mum didn't follow the video recipe I shared with her and said she wasn't very happy with hers at all, hence the single photo of her sushi. I think they look ok though. Ben, on the other hand was really pleased with his sushi feast and gave me a top score of 10/10, both for taste and appearance. Hooray! I've turned it around since the last challenge. 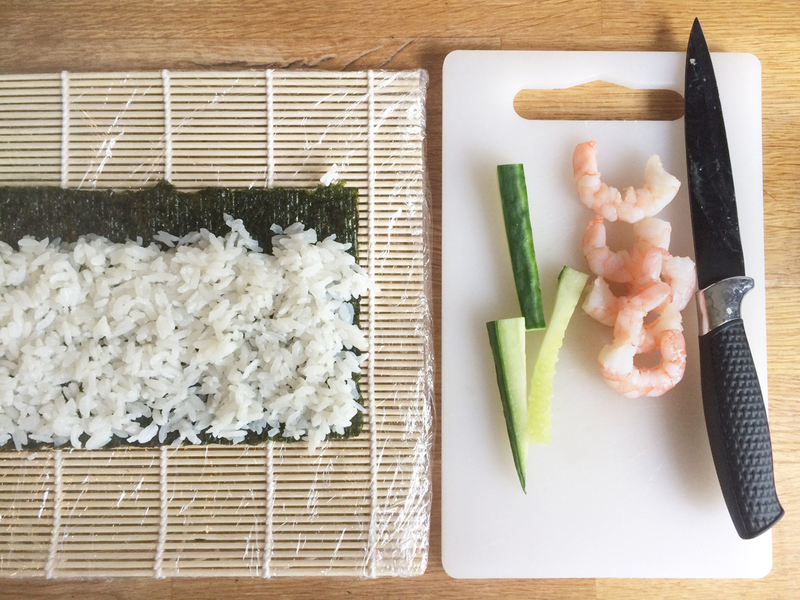 I will definitely be making sushi again, as it tasted really delicious, and wasn't quite as technically challenging as I thought it would be. A good summers evening spread. We planned this one so that we could make something whilst my mum was waiting for my brother to return, so the cook-off is in fact already complete and I will share the results soon. 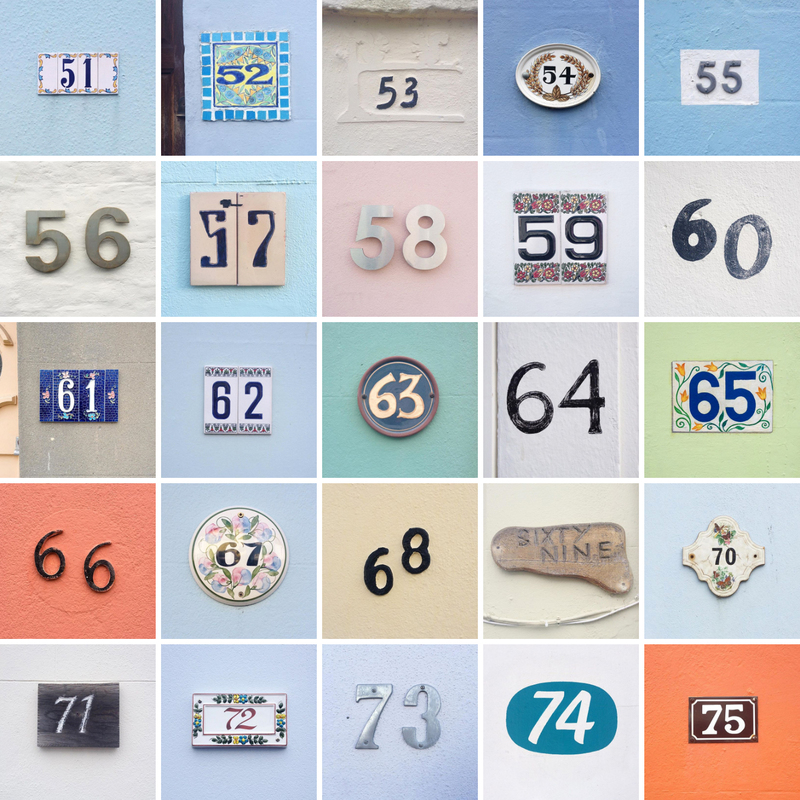 Here's another set of photos from my house number series to start the year off. As the numbers get higher, the amount of houses to choose from gets smaller, but I think there are some good finds in this selection. 57 and 74 are my favourites here. My original goal of getting to 100 in the series by last July was a little optimistic, but I'm confident I can reach 100 this year! My work is moving back to Brighton so the streets of Hanover will be back on my daily walking route. I'm uploading the photos over on Instagram under #hanoverhousenumbers if you want to see more as I find them. I was tempted to change the title of this post to 'let's fail to cook: swiss rolls' as I'm afraid this challenge wasn't our finest hour. We actually completed this bake-off way back in April, but I've been holding off posting about it as it was such a disappointment. Here goes though...promise not to laugh too much. All I can say is that swiss rolls are harder than they look. My effort is shown on the left (no amount of icing sugar can cover up that sorry mess), and my mum's is on the right. I actually had two attempts here and this is the best of the two, which is really saying something. 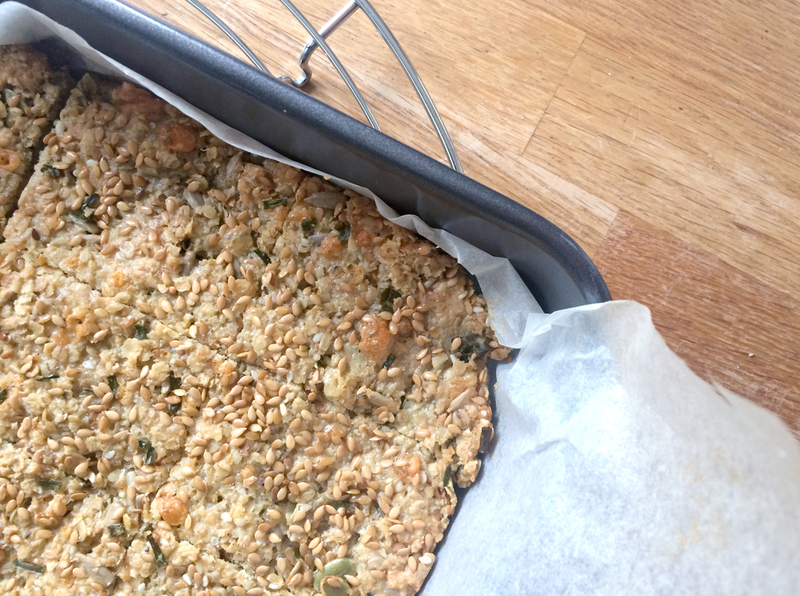 With my first effort I attempted a cake with no refined sugar but boy was that a mistake. The recipe used stevia as a substitute which I found out after baking has an aftertaste that will make you need to scrub your tongue (I actually had to do this). Ignoring the taste, my first sponge came out pretty nice and fluffy. It cracked a bit while rolling but wasn't a complete disaster. But of course I had to start again, because of the stevia. I used a more traditional cake recipe for my second attempt, but think I rushed the whisking part and didn't get enough air in the mixture as my cake came out of the oven very flat and rubbery (with a distinct eggy aroma). Awful! I also failed with my filling as I was aiming for something tropical, yoghurty and light, which instead ended up sloppy, oozy and gross. Oh well! You can't succeed at everything. My mum's sponge actually looked ok, although she also reported a slightly eggy taste when freshly baked. 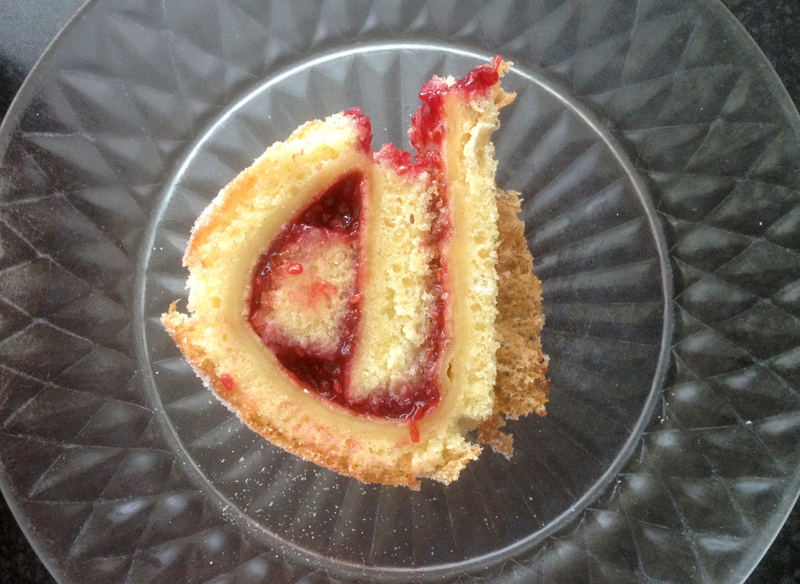 I think her troubles were caused by baking for slightly too long, leading to this interesting geometric swiss roll. 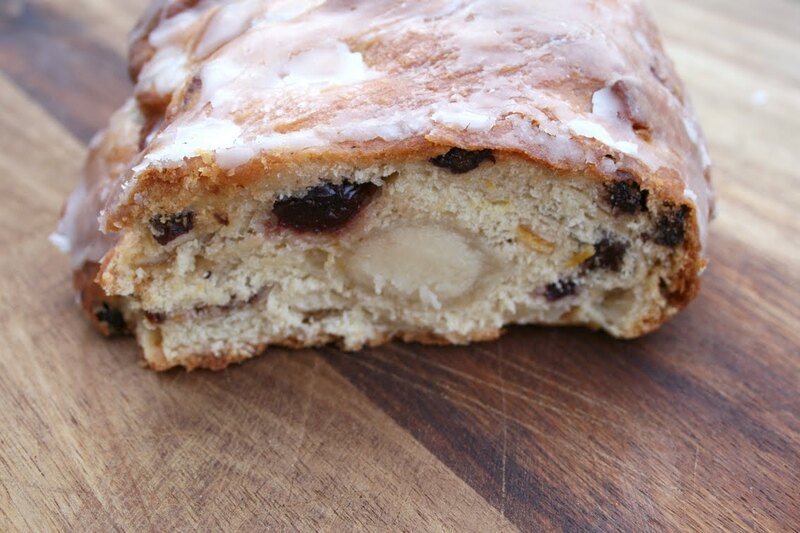 You can't go wrong with a traditional jam filling though - sometimes it pays to play it safe! 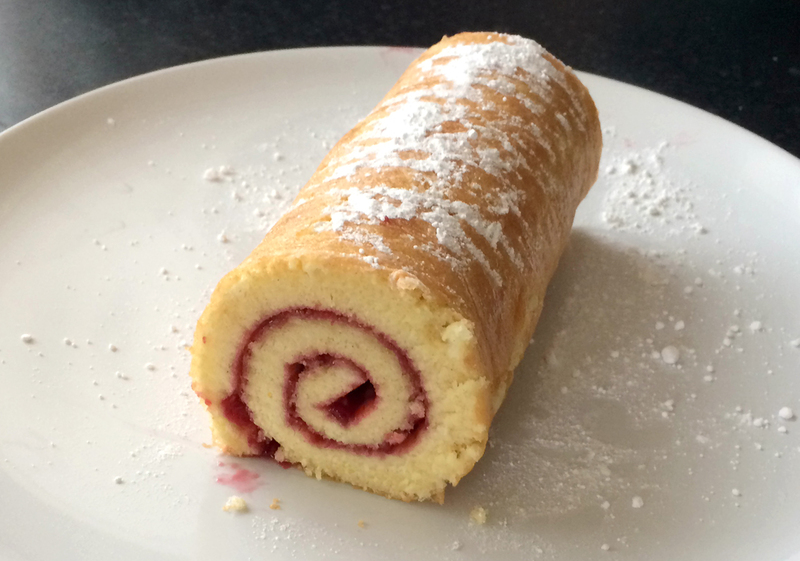 A rather perfect looking swiss roll, which rather steals the show. It totally looks the part, although both him and my mum confirmed that it was a bit dense and eggy too. Why are swiss rolls so hard? Ben was very sweet and tried to give me a score of 2/10 but I've overruled that and awarded myself 0 marks as we had to throw the whole thing in the bin. If I remember correctly my mum was awarded a 3/10 for her effort, and of course Tim came in first, although still with a fairly low score of 5/10. I think we'll all have to give them another go one day, once the disappointment has worn off. Next time we'll be making sushi. I'm looking forward to this one!